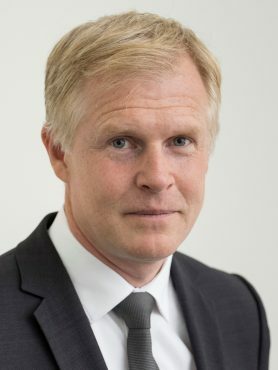 Henrik Enderlein is Professor of Political Economy at the Hertie School of Governance and Director of the Jacques Delors Institut – Berlin. During the current academic year 2017-2018 he is a Research Fellow at the Robert Schuman Centre for Advanced Studies at the European University Institute in Florence, Italy. Henrik Enderlein holds degrees from Sciences Po, Paris, and Columbia University, New York. He prepared his PhD in Political Science at the Max Planck Institute for the Study of Societies in Cologne. From 2001 – 2003, he worked as an economist at the European Central Bank before taking up a Junior Professorship in Economics at the Free University Berlin. In 2003 Henrik Enderlein was awarded the Max Planck Society’s Otto-Hahn Medal for outstanding achievements by young scientists. He joined the Hertie School of Governance as a member of the founding faculty in 2005. Henrik Enderlein held visiting professorships at Harvard University (Harvard Kennedy School 2012-2013) and Duke University (Fulbright Distinguished Chair 2006-2007). Henrik Enderlein’s research focuses on the political economy of economic policy-making, with a special focus on the Euro, the ECB, the EU-Budget, European integration, transatlantic economic relations, fiscal federalism, and sovereign defaults. His research has been published in journals in the fields of political science and economics, such as the The Journal of International Money and Finance, The Journal of Law and Economics, The Journal of European Public Policy, European Union Politics, or The Journal of Common Market Studies and book chapters with Oxford University Press or Columbia University Press. He is the Co-Editor of the Handbook of Multi-Level Governance (Edward Elgar) and edited volumes with Routledge and Oxford University Press. Henrik Enderlein has advised the German and French governments and the European Commission. From 2013-2017 he was a founding member of the independent advisory board to the German Fiscal Council. Are Institutions Able to Adapt ? Created in 2001 by Le Cercle des économistes, Les Rencontres Économiques d’Aix-en-Provence have become an incomparable meeting place for current economic thought from France, Europe and the world.